We do not, as a rule cook cakes, and desserts. Main meals are a doddle. 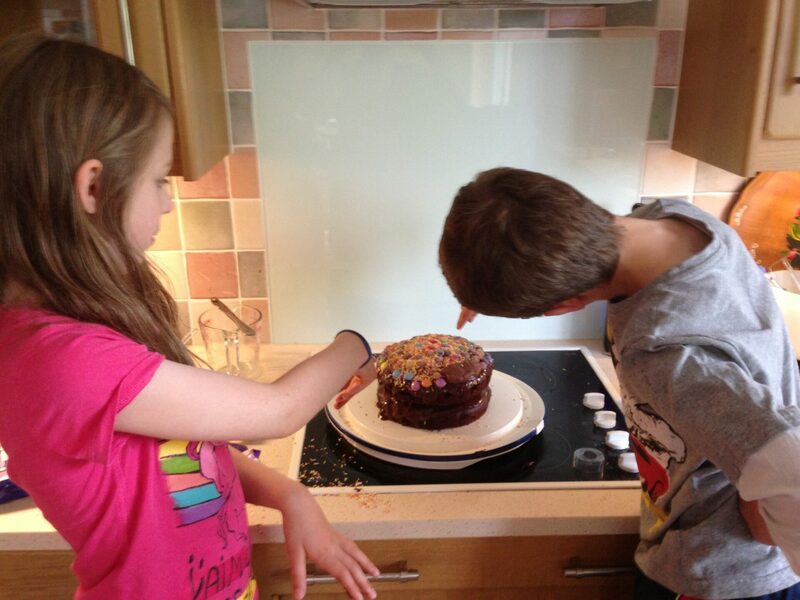 My kids help regularly with stirring a risotto, or breading the chicken – but stirring a cake, or cutting out cookies…. Well, that happens in other houses. Once, I managed to even mess up making shortbread – it melted. 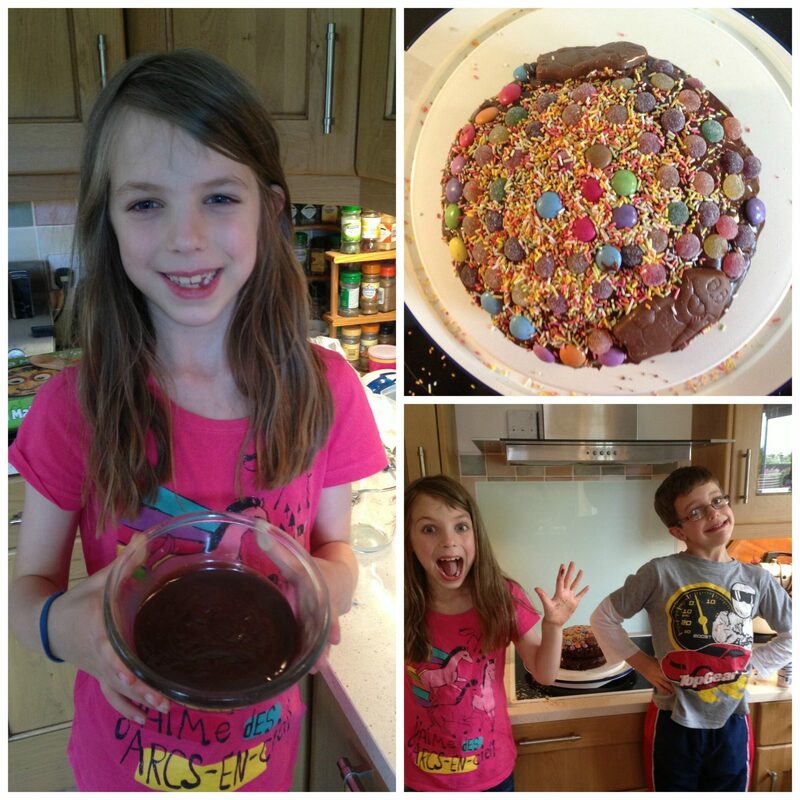 More importantly though, the kids wanted to make a chocolate cake as it was Dad’s birthday! They searched the book, and discovered the Awesome Chocolate Cake..and a plan was made. 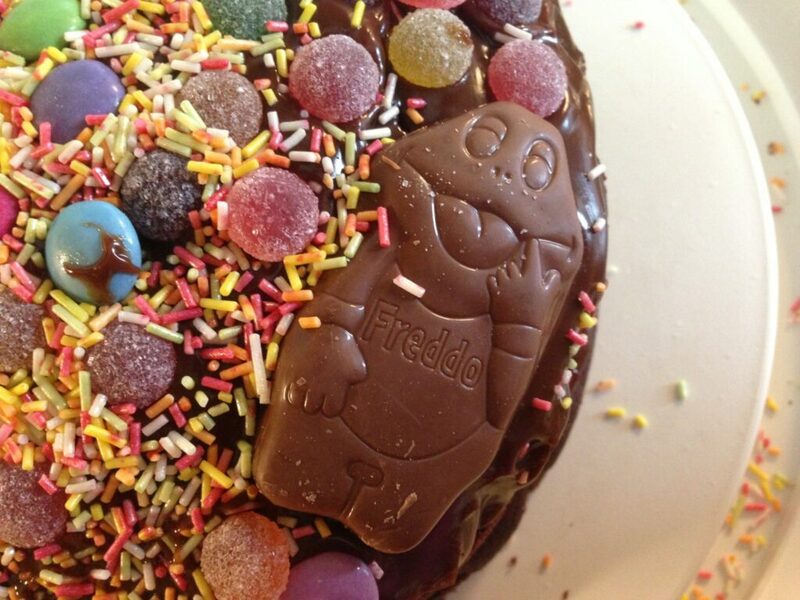 A colourful cook book written to get kids hands on in the kitchen. From main meals, to desserts, and most things in between. It has great pictures for each step of the recipe, coupled with simple instructions on how to use the book and a three star rating system for each recipe. Three star = hard. One star = easy. Simples. The book introduces the right cookery words for the kids – aimed at 7+, but my son is six and found it fine. There are even little alerts dotted about the book to show you when you need to get an adult more closely involved. To be honest, though…I was on hand with my six and seven year old all the time…except when it came to the decorating of course. We were sent this book for the purposes of review. All opinions are our own.